Last week, in an ever ongoing attempt at "decluttering" I was cleaning out the linen closet. I have cleaned it out at least twice in the last six months, but alas, it needed it again. While I was digging in the depths of the back of the bottom shelf I came across my quilts. Not the ones I've made. My quilt legacy. The heritage quilts. The oldies but goodies, and the newer ones too made by my grandmothers. I have no idea the whole story behind this quilt. I do know that my stepdad's mom made it, and I know it's been around ages....and the fabrics in it really ARE vintage because they were from the time period. It's all hand pieced and hand quilted. Each grandkid got a quilt. This next quilt is my quilt. And I had no idea what I was asking for. Now I do and I have to say my grandmother should have told me to go to hell because I was being a spoiled brat. This next quilt is a queen size grandmother's flower garden. With well over 3,000 pieces. All hand cut, hand pieced and hand quilted. As in she used NO sewing machine. It was finished in 1994, and let me tell you I KNOW how much this quilt is worth. It's priceless. And she just gave me a quilt for Katelyn. It's a Sunbonnet Sue and it was finished in 2011. Again, it's all hand cut, hand pieced and hand quilted. Her only sewing machine is an old singer treadle and she doesn't use it for quilts. Thank you for letting me share some of my quilts with you (yes, there are more, but I will post about those later). They remind me of the story "Everyday Use". I believe quilts, no matter how old or who made them were designed for "everyday use" and that's how I use them...which means the Sunbonnet Sue gets spread on the ground and the punk happily plays there! The quilts are all beautiful. The first scrappy one is as well, even though you think it isn't so pretty. Maybe I like it so well is because that is the way I make my quilts, use what I have and scrappy. To me they are the most comfortable and homey. Enjoy your priceless treasures. what treasures!!! You are so lucky. I do like the scrappy first one, there's just something sweet and charming about the fabrics and the pattern. And the grandmother's flower garden! Holy smokes!! At least it went to someone who can appreciate it, even you didn't when you asked for it, you do now and that's what matters. Thanks for sharing! You are so lucky to have those. I have one antique quilt. We are unsure of it's origin, but we think it was my mom's grandmother's. She quilted a lot but most of her quilts have disappeared. What beautiful quilts! These vintage scrappy quilts are my favorite and I'm lucky to have several from both my family and husbands. 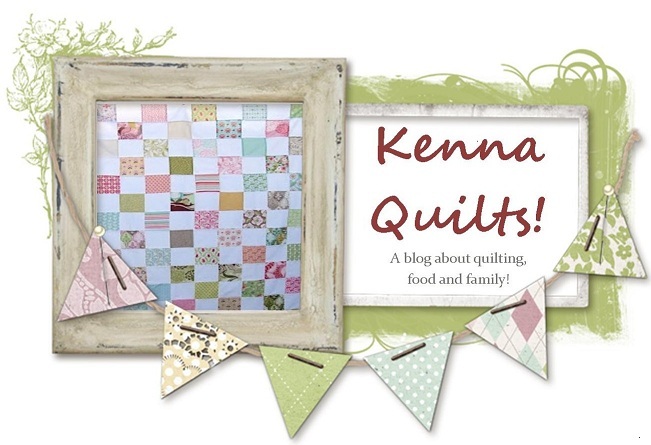 I love those first two quilts in particular - wonderful. I wish my grandmothers had made such fun quilts - you're lucky to have them.